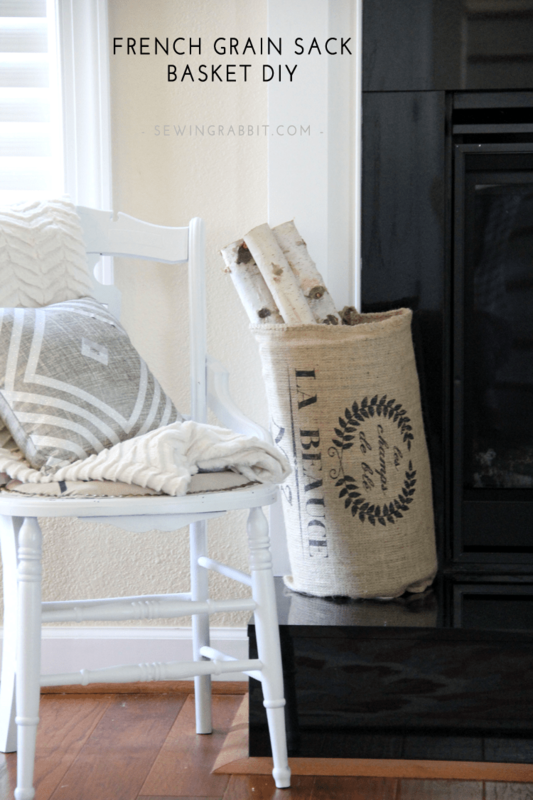 I love the look of old coffee bags and french grain sacks, the vintage burlap feel with cool writing makes this textile instantly cool and perfect for home decor. 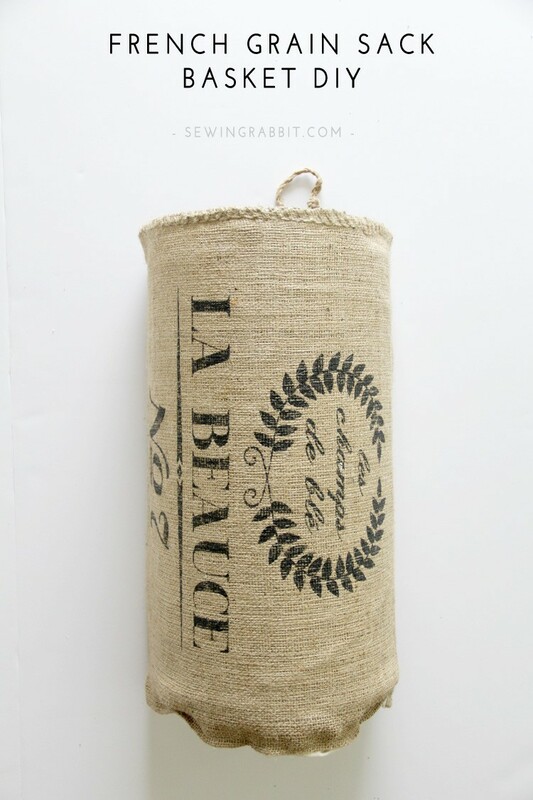 After stumbling across some cool french grain sacks, I started to think about what an easy basket the would make, with very little work involved. 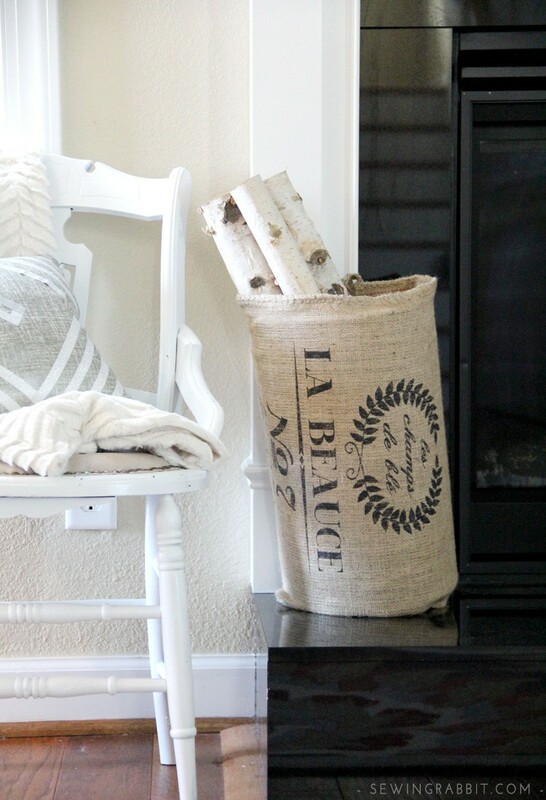 And the french gran sack basket DIY was born. 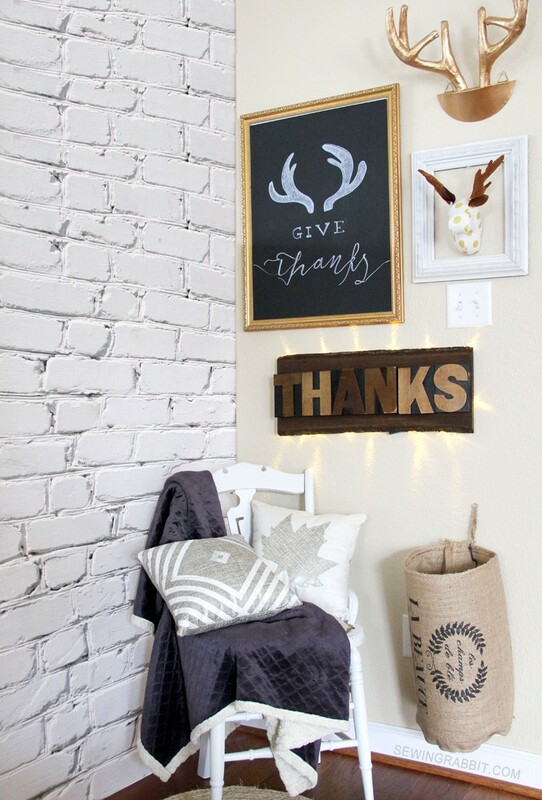 Initially seen in the Budget Friendly Thanksgiving Corner diy HERE, as promised here is the featured. 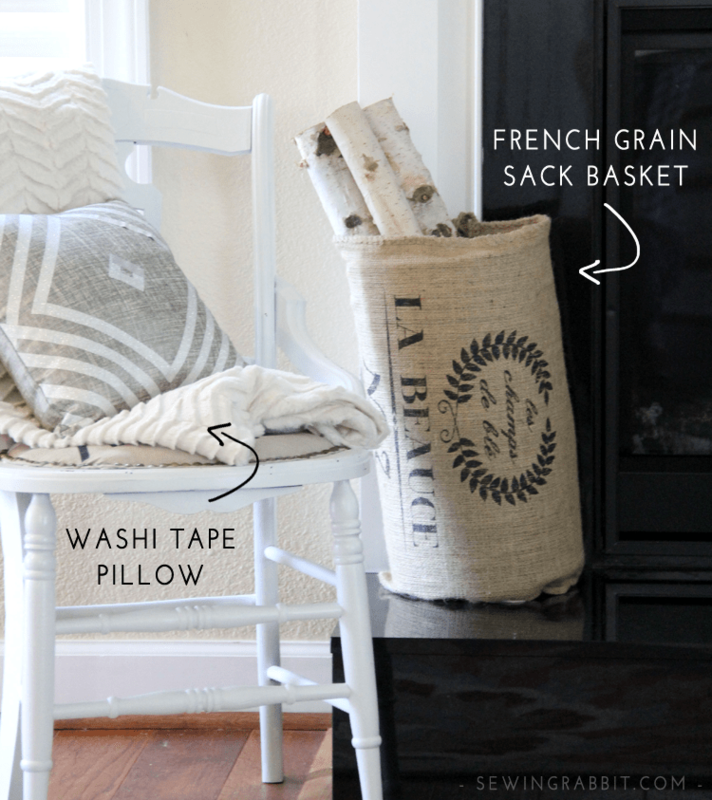 French Grain Sack Basket DIY. Insert plastic inside the middle of the coffee bag. 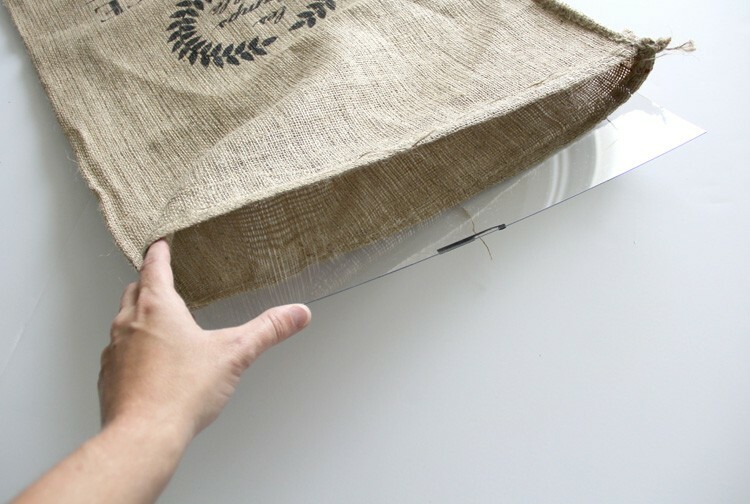 You want the plastic to be at least 1″ smaller than the width of the bag. Fold the bag around until the sides meet in the back. 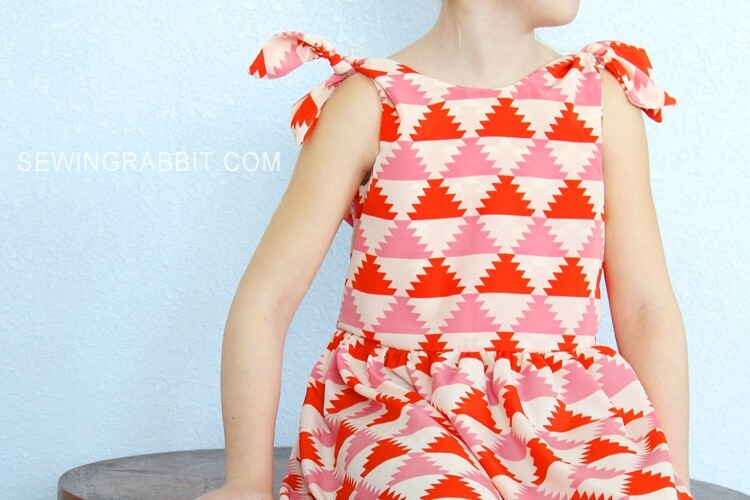 Pin together, and sew using your darning needle and yarn. 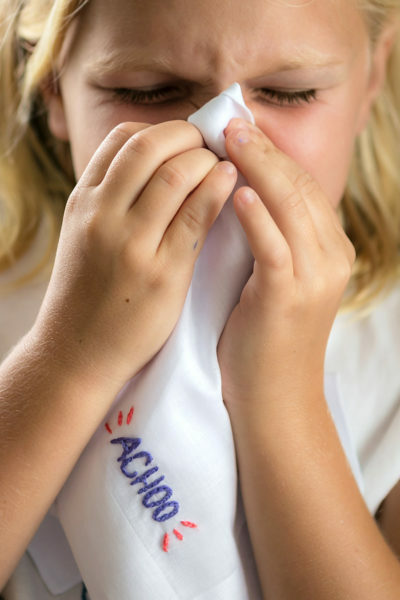 A nice big whipstitch will work just fine. 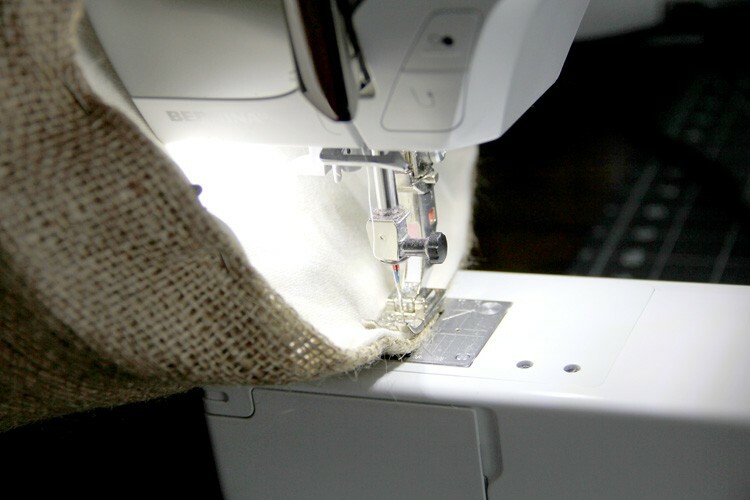 Stand the bag right side up, and place directly on top of your twill fabric. 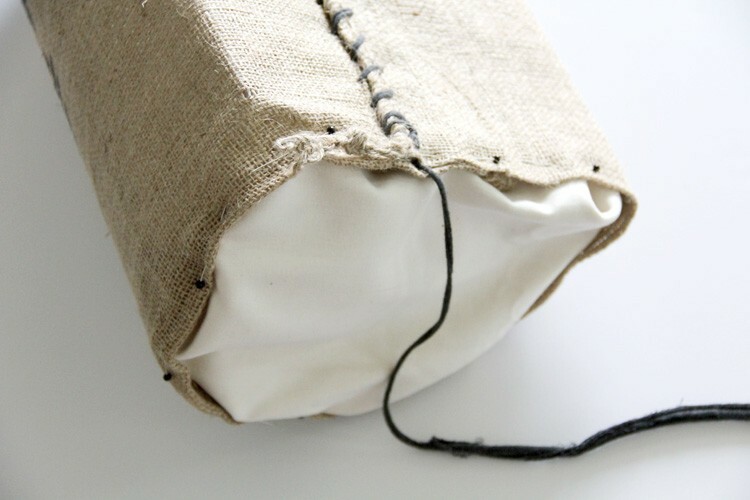 Draw around the bottom of the bag, giving yourself at least a 1″ seam allowance. I double the fabric over and cut (2), to make an extra sturdy bottom. Cut out. 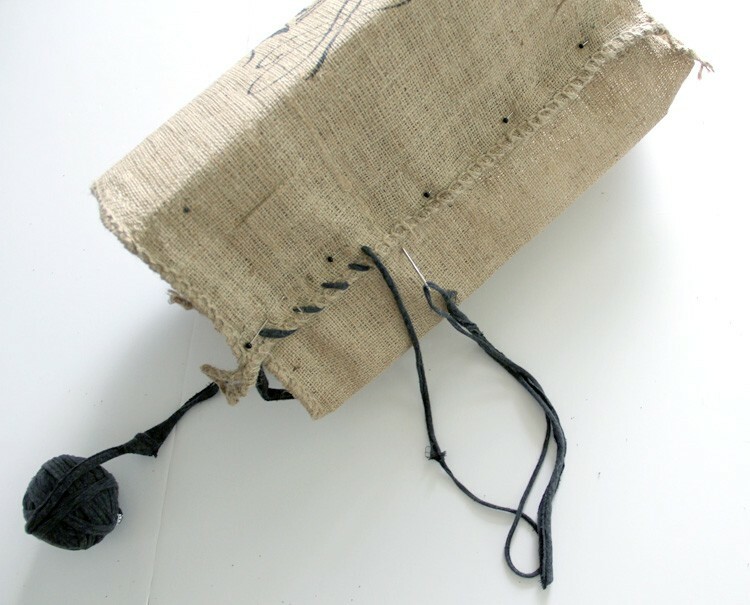 Slip your bottom inside the bottom of your bag, and pin around the edges. You can attempt to sew this on with the darning needle and yarn, but I found the needle to be too big to successfully pierce the twill fabric. 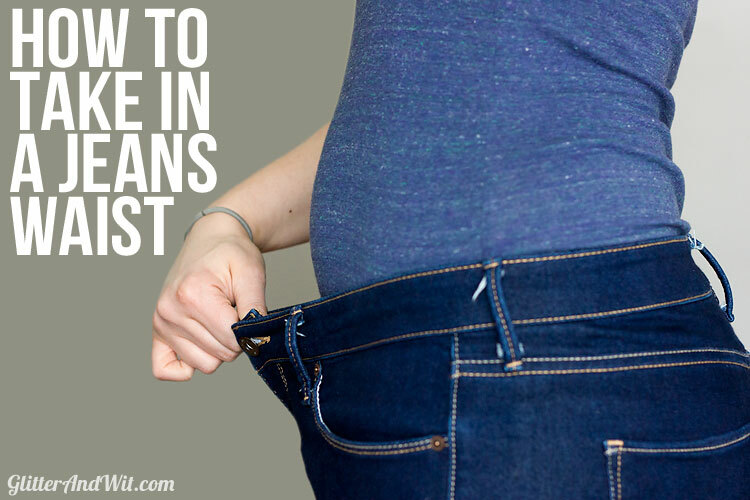 If you do not have a sewing machine, simply switch to a regular sewing needle and thread, and whipstitch the bottom all the way around the edges to secure. 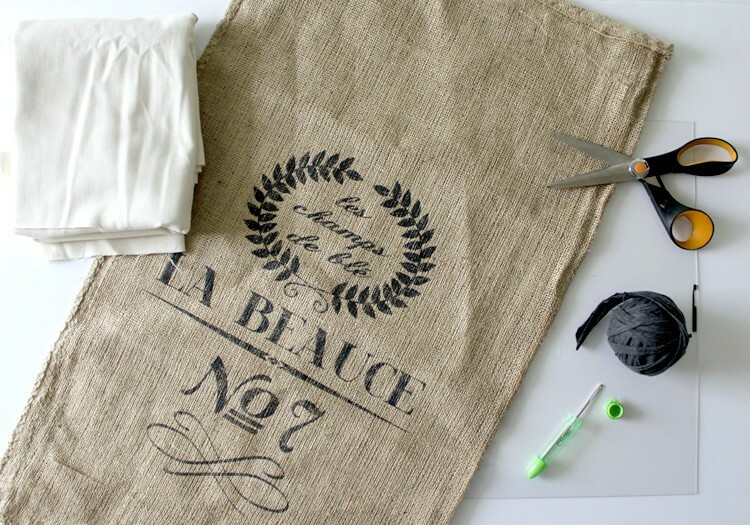 Using a heavy duty needle, sew the bottom onto the bag around the entire circle at the edges. And you are finished! 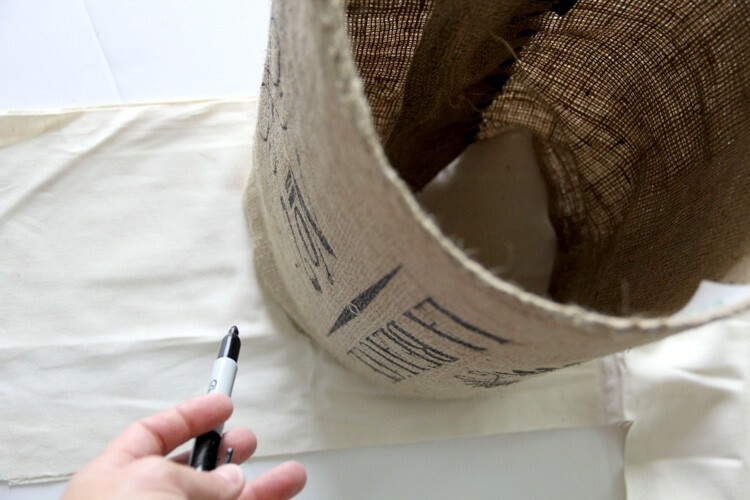 If your coffee bag came with a little loop along the top edge, than you can even hang this basket on the wall and truly impress all of your friends with your crafty skills. 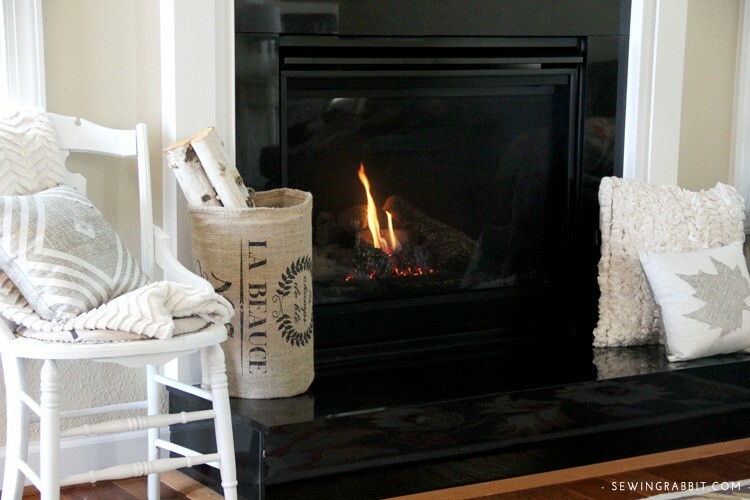 And you can see more from the original Budget Friendly Thanksgiving Corner post HERE. I like that it also looks like an oversized wine cork! What about using those plastic Chopping Sheets you can get from the Dollar Store, and trim to size with kitchen scissors? This is a Great Project! !